The Number One reason that water pipes need to be replaced is because they are simply old. If you purchase an older home, and there has not been any recent re-plumbing then there is a likelihood that you will have to replace your water pipes. After all, they will wear out, like most things. As professional plumbers, the one thing that we can absolutely guarantee is that if you don't replace your water pipes (when they should be) the problems will not go away. In fact, they will get worse. So, before you have to spend more money - get those pipes replaced! We know it seems like a very scary project but we've worked through hundreds if not thousands of water pipe replacement projects in the Atlanta, Ga area. We work very hard to make it as smooth and quick as possible for you and your family. If you have to keep calling in a plumber and paying them to fix things like drain problems it may be that you are simply not addressing the root of the problem. You may end up spending a huge chunk of money which could have gone to replace the pipes and correct the main issue. There's no doubt that the newer materials available today for water pipes outshines what was used 50 or 100 years ago. But, nothing is perfect and we haven't yet figured out how to make pipes that will last forever and through any kind of weather. So, for the time being we must live with the fact that our water pipes will need to be replaced at some point. Here's a breakdown of the average lifespan of the different types of pipe materials available today. Some of the data is from the National Association of Home Builders. Pipes that are older or just deteriorated can end up causing all kinds of unwanted side effects on your entire plumbing system. Things like corrosion or blockages inside the pipes can severely affect the water pressure in your home. Low water pressure is a nuisance, after all, no one feels clean after taking a shower with low water pressure. But more important than that, low pressure can increase the likelihood of more clogs and that issue can be a costly repair. All pipes will eventually suffer from scale (where a buildup of debris and mineral deposits are created inside the pipe). This reduces the internal diameter of the pipe, reducing the amount of water that can go through the pipe. Eventually, a clog is formed stopping the water from going anywhere. 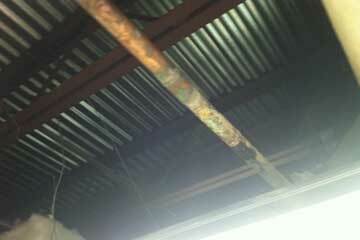 This then increases the pressure within the pipe, causing it to rupture and/or burst. If this happens within your walls, then you can expect not only to pay for replacing the pipes but you will also pay for replacing drywall, floors, carpets, new paint, etc. There are many commercial and home made remedies for clogs and other blockages in water pipes. The Internet is full of them. 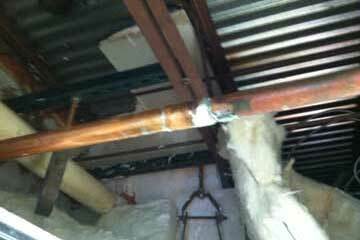 Some will work on all kinds of pipes but if you have old pipes, the problems of clogging won't go away - these solutions are just temporary. If you want to fix the problem once and for all - it may be that it's time to replace those old pipes. Another reason to consider replacing your water pipes is for your health. If your pipes were installed before 1980, chances are that they were made with lead components. We know today that too much lead in our water supply contributes to many health related complications, especially in children and the elderly. 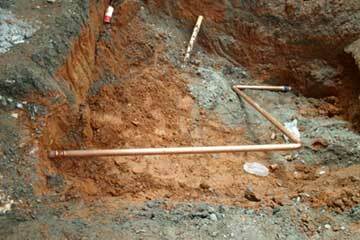 How Can You Tell If Your Pipes Are Corroded? If you notice any of these signs - call in a professional plumber. They can use a camera inspection to detect the problem with your water pipes. 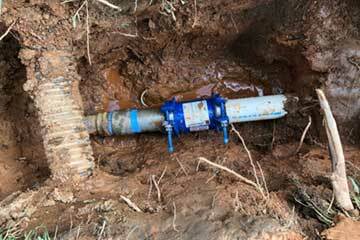 If you have any questions about your water pipes - call the experts at Atlantis Plumbing today at 770-505-8570.